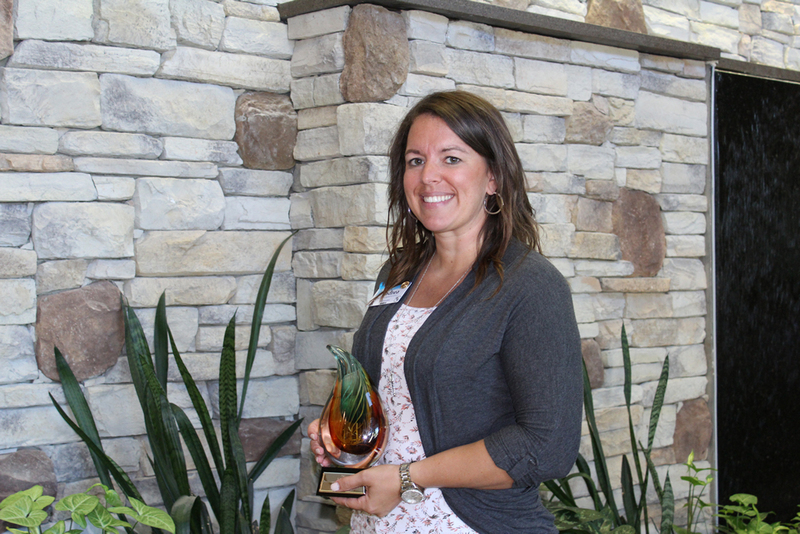 Memorial Health System (MHS) Chief Human Resource Officer, Andrea Taylor, recently received the Marilyn Gates Award from her Kansas Healthcare Human Resources Association (KHHRA) peers. Taylor has served as the Chief Human Resources Officer since February 2018. Prior to that, Taylor has served as the Human Resource Director for Memorial Health System since July 2015. She began working in the HR department at MHS in September 2011. She is a graduate of Fort Hays State University with a master’s degree in Liberal Studies with an emphasis in Organizational Leadership. Taylor is the President Elect (President in 2019) and North Central Kansas District Chair for KHHRA. She is actively involved with respective KHHRA district meetings, and is an active member of the American Society for Healthcare Human Resources Administration and Society for Human Resource Management. Andrea is married to Cy; they have three boys: Canyn (11), Cayne (7), and Crayton (5). She serves as Board President of Court Appointed Special Advocates (CASA); she is a board member of Sister City. She is a member of the Employee Safety Group and Workforce Committee with the Kansas Hospital Association, and she is a State approved Mediator. Andrea enjoys watching her children’s activities, traveling, and spending time with family and friends.